Author PrisPosted on February 11, 2016 Categories Our Parents SayTags Mister I17 Comments on I have a koala in the house! Our kids love chips and anything fried! So we always had problem ordering food for them when we dine out, but THIS Fish & Chips at Ci Yuan Hawker Centre is one that we will travel just to have it. Ci Yuan Hawker Centre is located within the Ci Yuan Community Club along Hougang Avenue 9, and has 40 cooked food stalls, and can seat up to 640 people. Food prices at this Hawker Centre are also kept lower than your usual foodcourts, you can find dishes at $2.80 per serving and drinks at less than $1.00. And they have family friendly tables and seats too! See how these table and seats are lower than the rest? Fits our two girls nicely. Love it! This yummy fish & chips is from stall #01-27 known as The Pasta Shop, owned by the same people from Ristorante Da Valentino at The Grandstand. 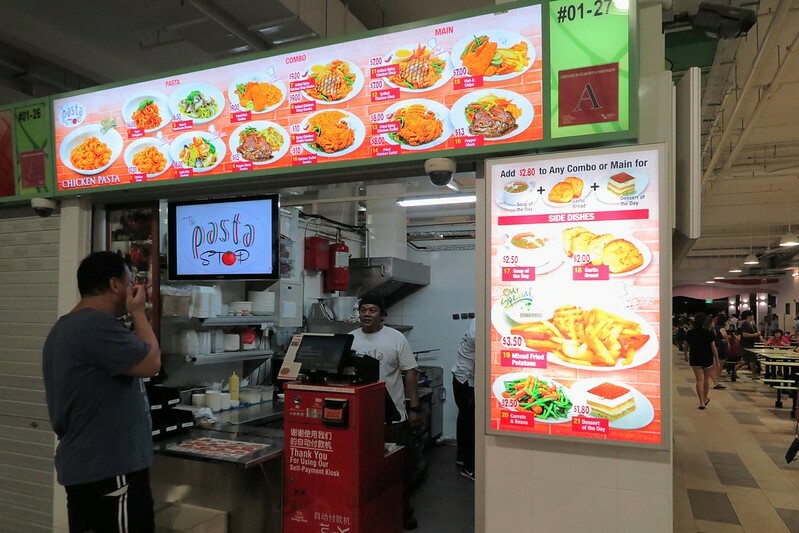 At this stall at Ci Yuan Hawker Centre, you get restaurant quality Italian food at value-for-money price. Besides this fish and chips, there are many more food options to try, you can check out Miss Tam Chiak’s feature of 17 Must Try Stalls at Ci Yuan Hawker Center. 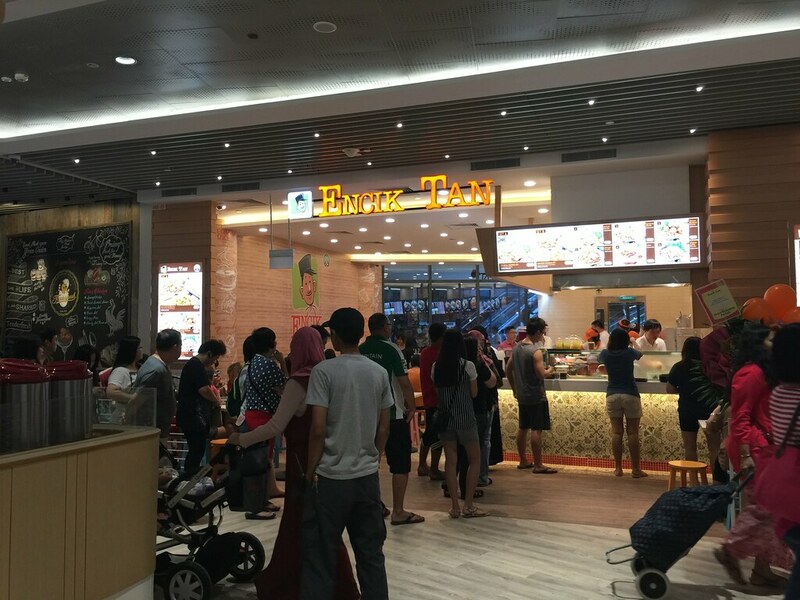 This new hawker centre also has one unique payment system at all their 40 food stalls. 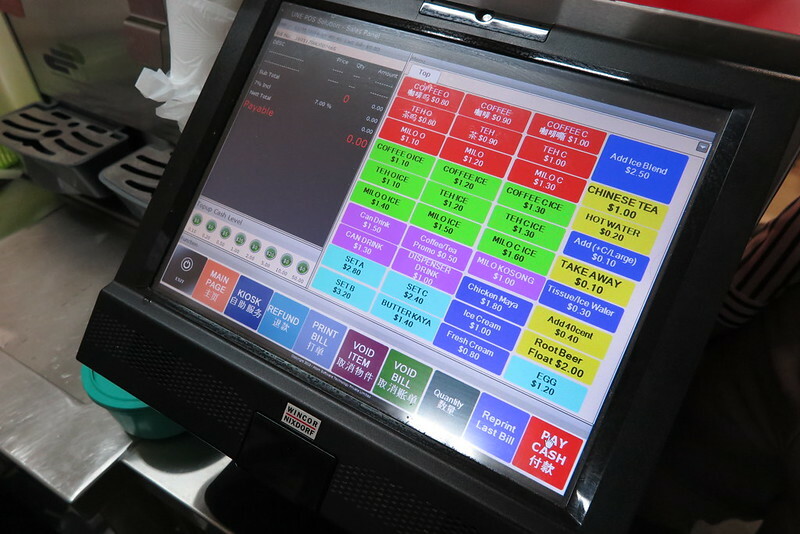 Spot that red counter at front of all stalls, this is their e-payment solution. All payment transactions are done through this system, allowing the stall owners to free themselves from handling cash thus more hygienic too. I very kaypoh, so I checked out this payment solution from behind the counter too. The system is designed in such a way that everyone will be able to use it without much hassle. 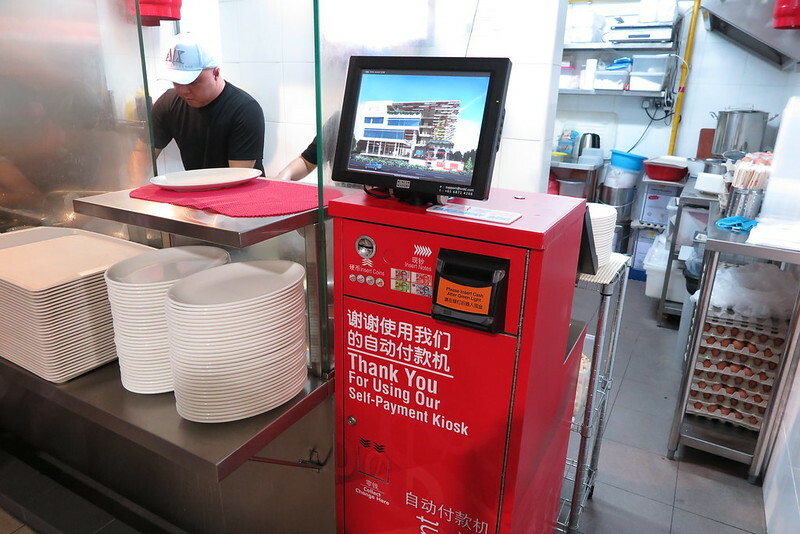 When making payment for your food, you just need to insert you notes or coins into the system and it will automatically provide you with change. If you’re wondering if the system will dispense only coins if you were to insert a $50-notes for a $7.00 meal, you don’t have to worry as the system will dispense notes too for change. So smart! I’m so glad that these smart e-payment solutions are spotted almost everywhere we go. 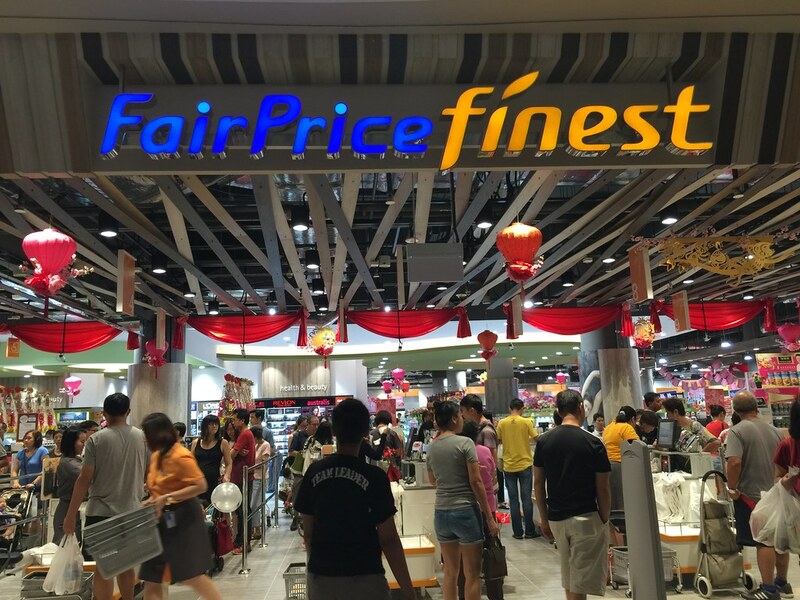 The new self-checkout counters at Fairprice Finest at Waterway Point also accepts cash and works so simply! Have you seen any other similar solutions too? Or if you have tried the food stalls at Ci Yuan Hawker Centre, please do share which one is good too. 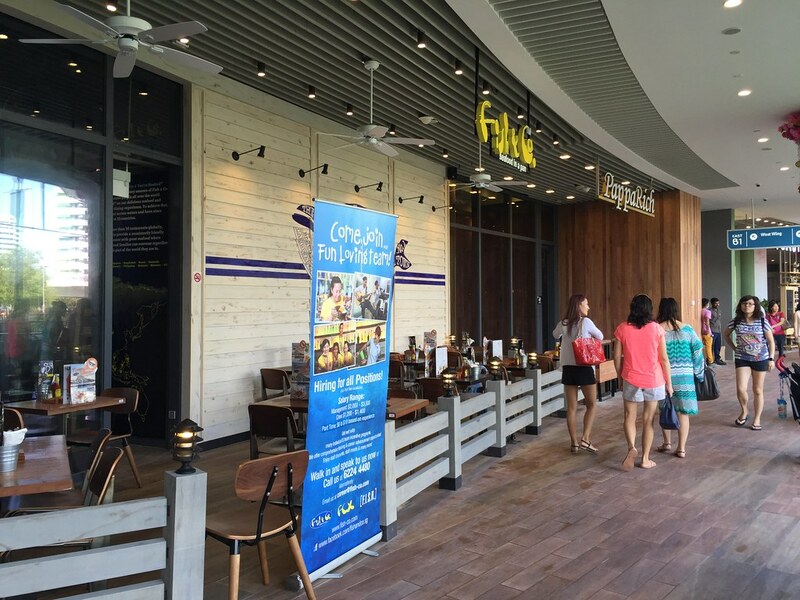 Today the door of Waterway Point at Punggol opens for the public at 10am and since we are so nearby, we thought we should go try our luck at redeeming some of the freebies that were given out to early birds. We arrived at exactly 10.10am and alas! The queue for free SHAW movie tickets were at least 100-meter long and the queue at the information counter on Level 2 was like a long snake going round and round the huge mall’s corridor! They had to deploy more than 3 security guards just to ensure the queue is in order. Guess I am not kiasu enough to get there earlier nor to join the long queues. At least I managed to snap some photos of the mall while zooming through the crazy early bird crowd at this first mega mall in Punggol! Overall I must say, I’m very happy with what I see. 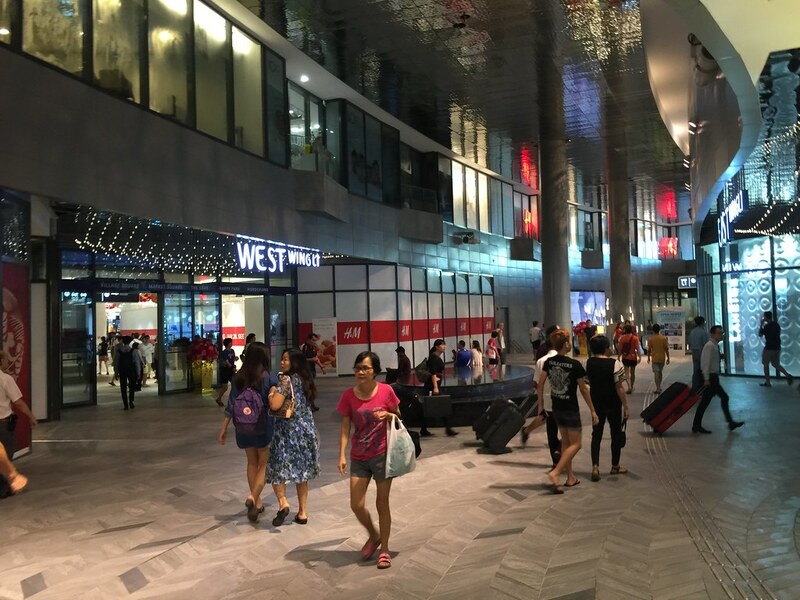 Very spacious corridor, huge atriums indoor and outdoor, essential stores we frequent often are there and there’s lots of food options (and quite a lot of Halal ones too) at Waterway Point. If you’re planning to head down soon, go before the afternoon “after-school” crowd cos that’s where the place get super crowded. Best is between 10am to 1pm on weekdays for this interim opening period. Here’s some photos to bring you through the mall. Level 1 where you can enter to the West or East wing or go straight down to Basement 1 via the escalator straight up. 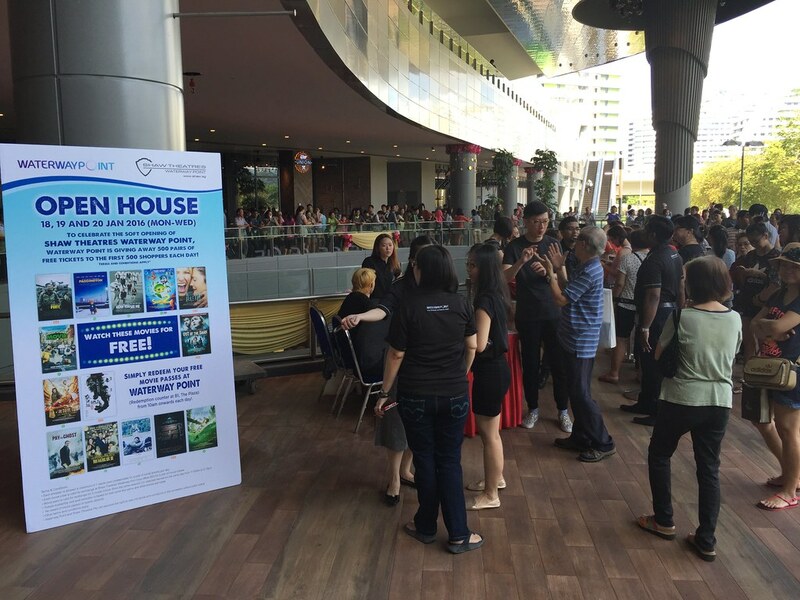 The crazy queue for free movie tickets, happening tomorrow and Wednesday too! First few in line started queuing around 7am (based on Instagram posting I found). OMG! 7am! 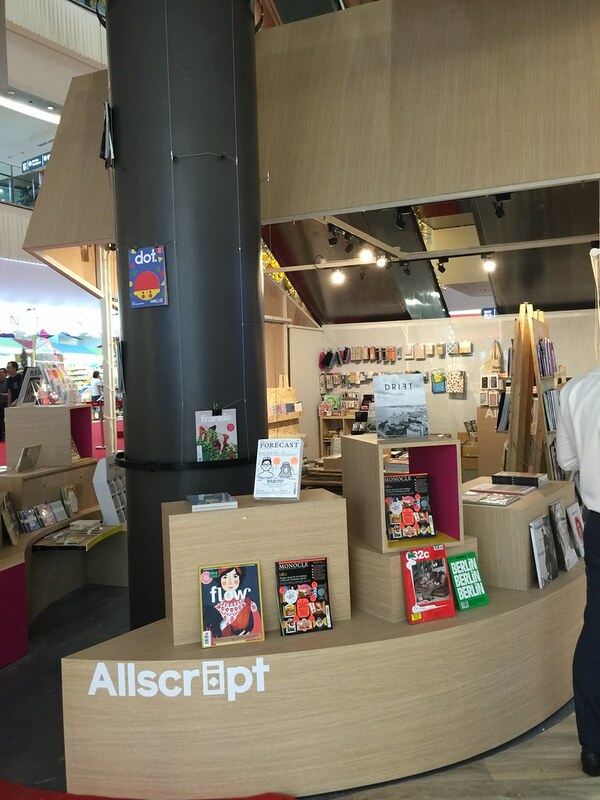 Nice Allscript store at Basement, get your indie reading fixes here. Of cos I had to check out the toilets! Sadly all the baby/family rooms are not available today yet. So no photos for now. 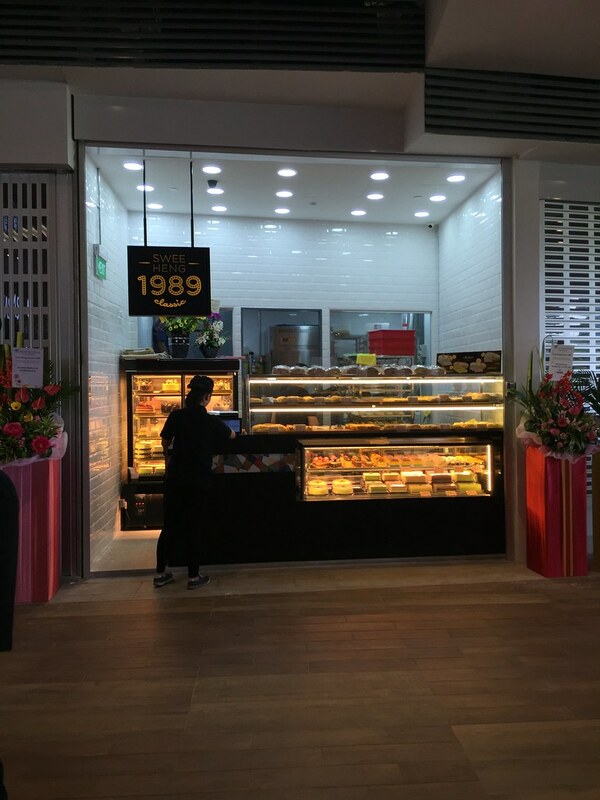 Just across Breadtalk, I spy this small but awesome Halal bread selection by Swee Heng. Serving fishball noodles, wanton noodles and I also spotted some curry rice option inside! Queue was too long so I’ll check them out another day. Lots of outdoor alfresco dining options available, these were not in operation yet today. Ever since we tried Creating our own burgers at McDonald’s, we’ve been wanting more. 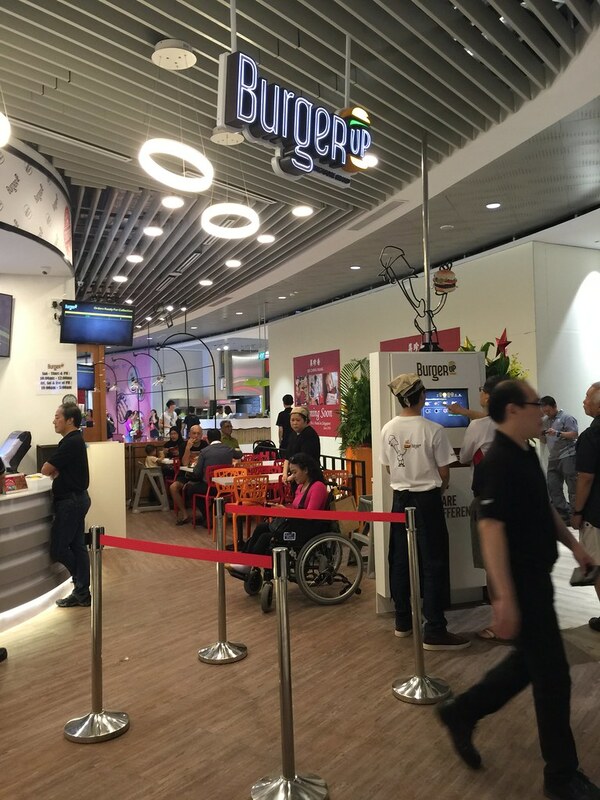 And now right next door to McD is Burger Up! More burger customising for us to try, there goes whatever dieting plans! Eat-fat-us! One of the stores we checked out today got me super excited and I can’t wait to bring the girls! 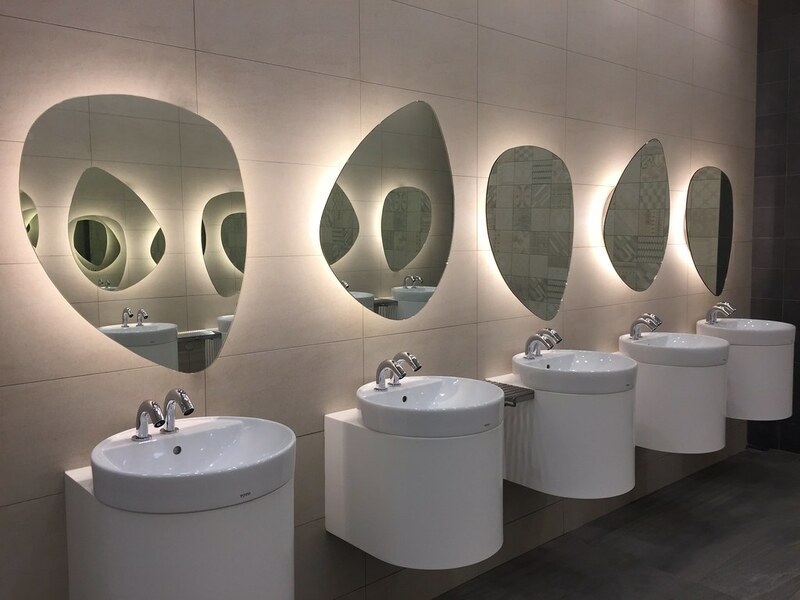 Previously we checked out their outlet at Marina Square and was impressed at the comfort and design of the place, but now this brings the impressiveness to the next level! 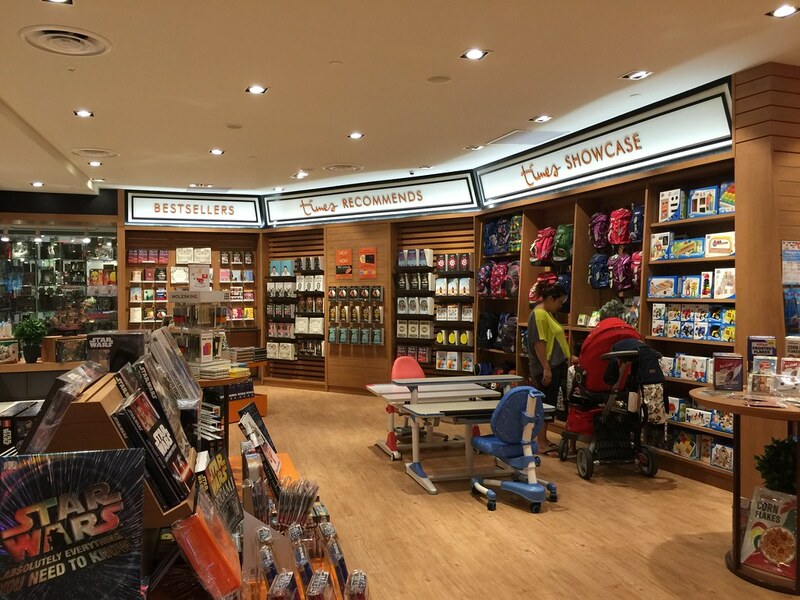 A dedicated Times Junior section at Times Waterway Point, how cool is that? 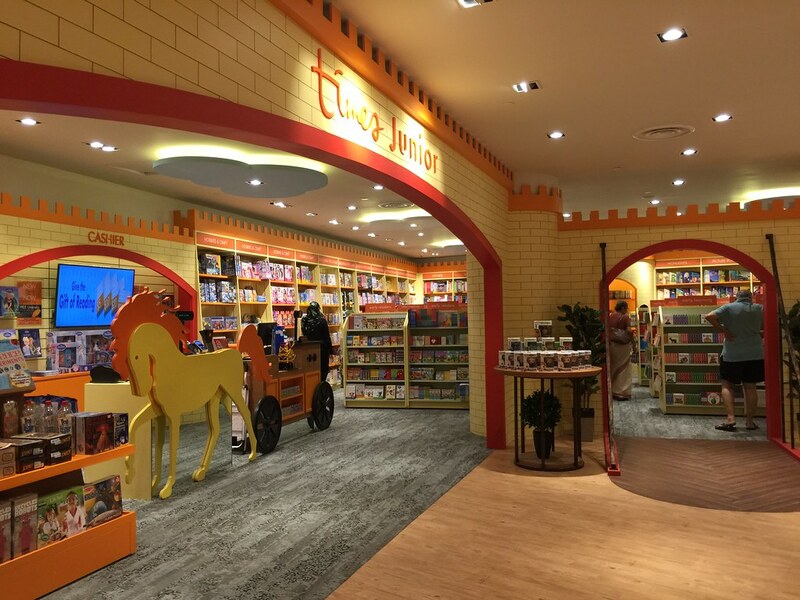 Walk right into Times bookstore at Level 2 and you will find this times Junior section, filled with many children books and activities. 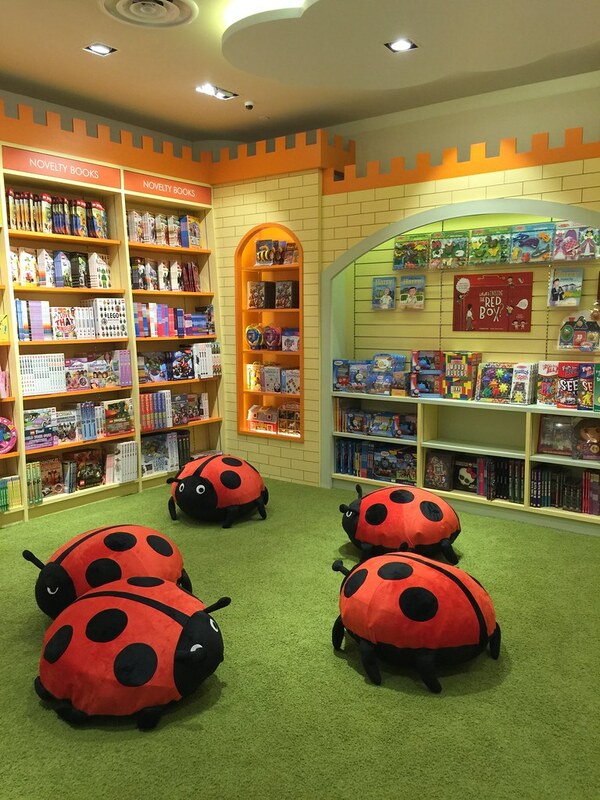 Little ones can even browse through the selection while bouncing on these ladybugs. So cute! For the hands-on folks, there’s also a section for all your gardening, cooking and handy craft shopping needs. 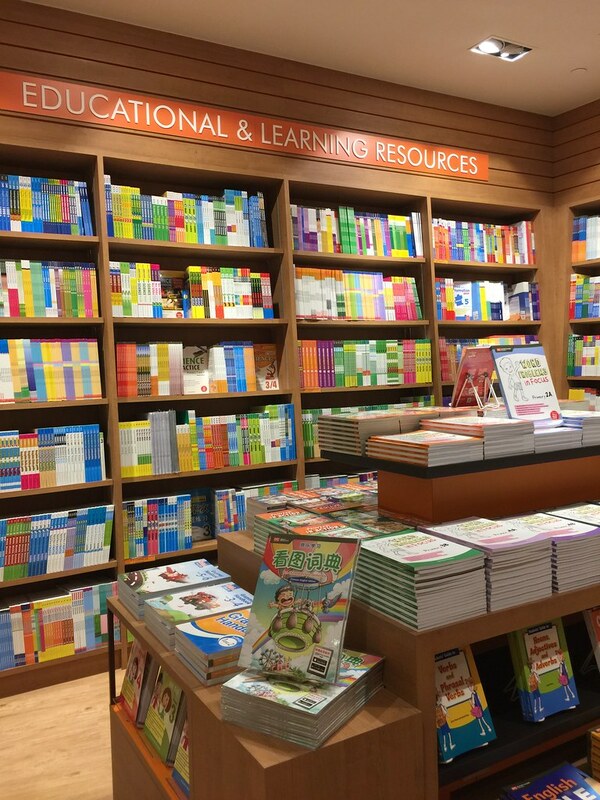 And they also have lots of shelves of educational and learning resources. Somehow the way they display them makes them more friendly and less stress when shopping for these to prep for exams. 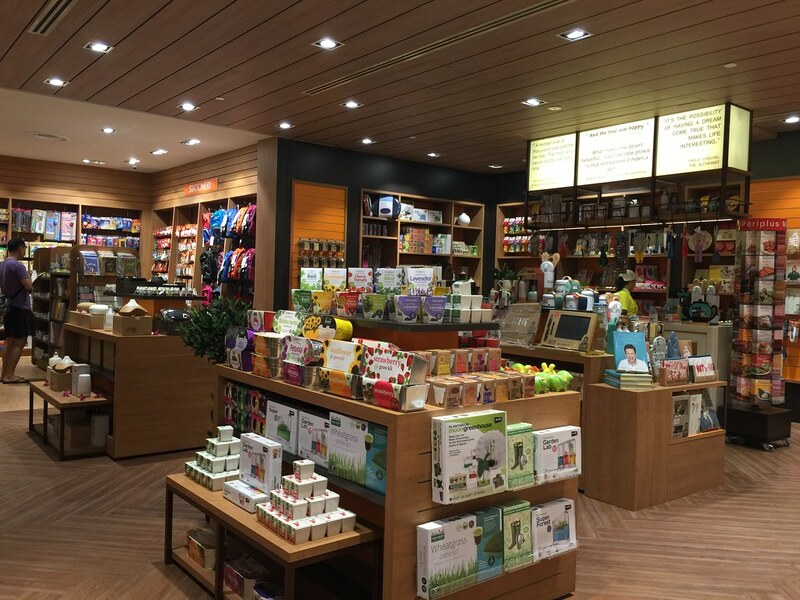 Wide selection of products available at Times Waterway Point. Time to use more of our Times membership card! 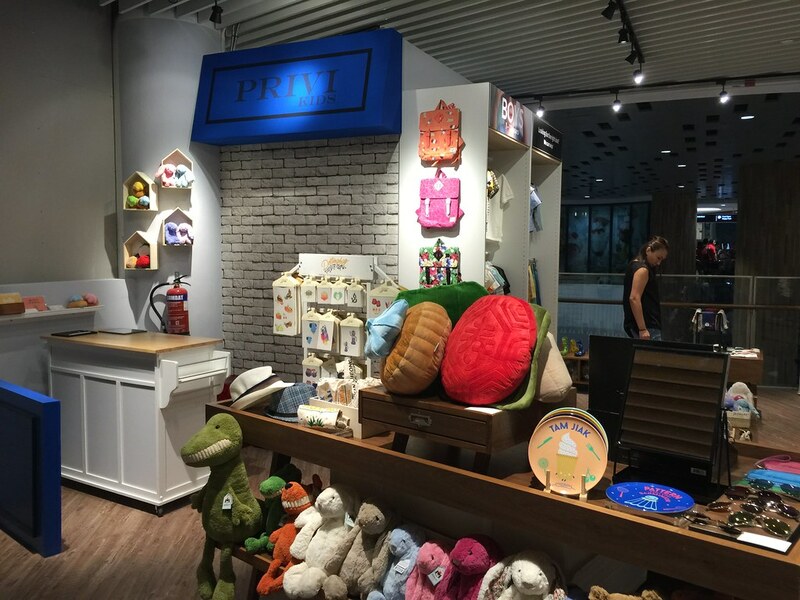 Also spotted cute kids clothes and accessories at PRIVI Kids at Level 2. 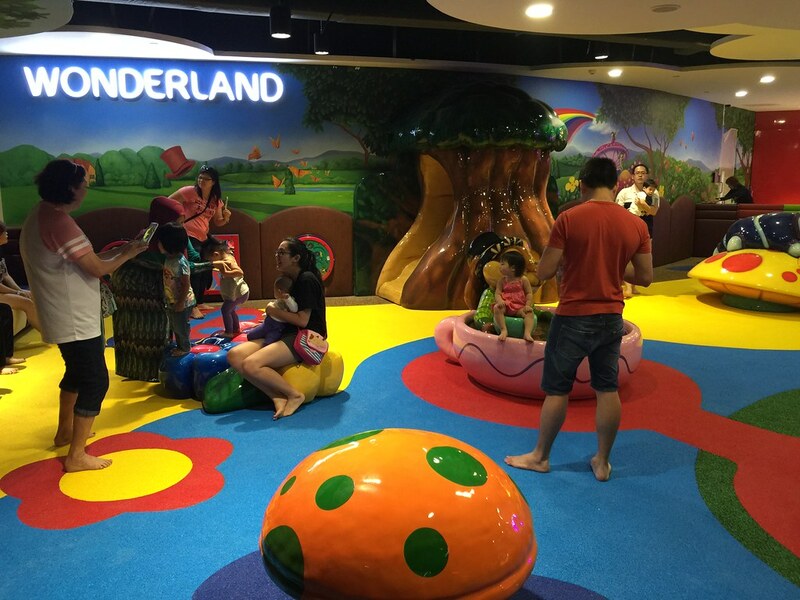 For parents with little ones, there’s also an indoor playground at Level 2 and its FREE! The door is cleverly designed and you’ll need to spot the shoe racks before you can spot the door to enter. It’s facing 1010 store if you’re wondering where to enter from. 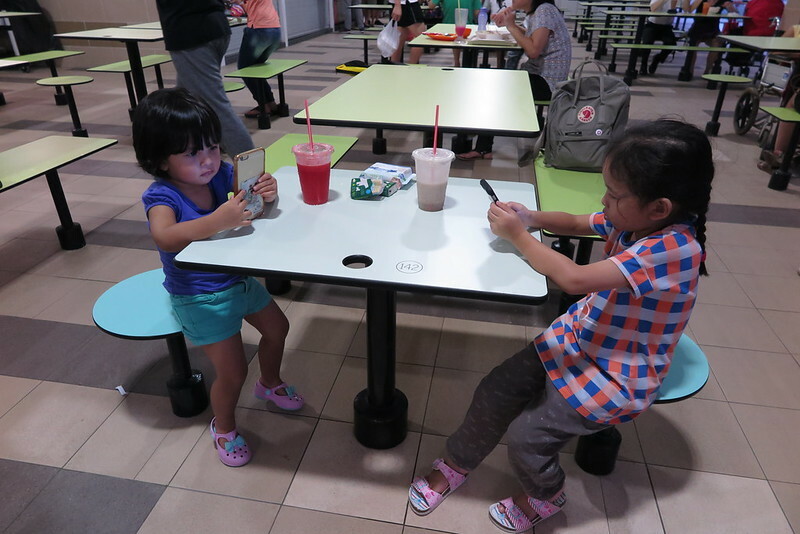 There’s also a small children corner inside the foodcourt Cookhouse. However there were only chairs in there today, not very attractive for now. Hope they’ll add in more play stuff soon. 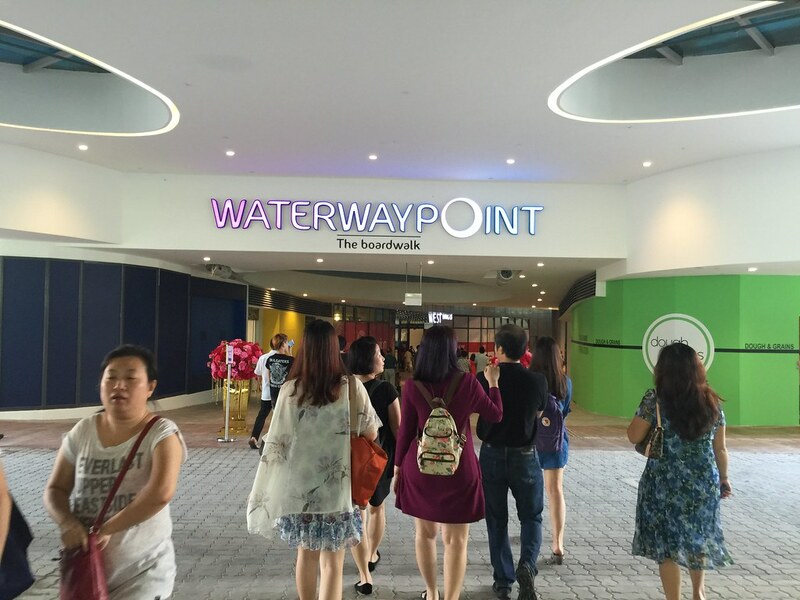 Waterway Point at Punggol MRT, lots more fun and exciting things now at Punggol! So awesome! 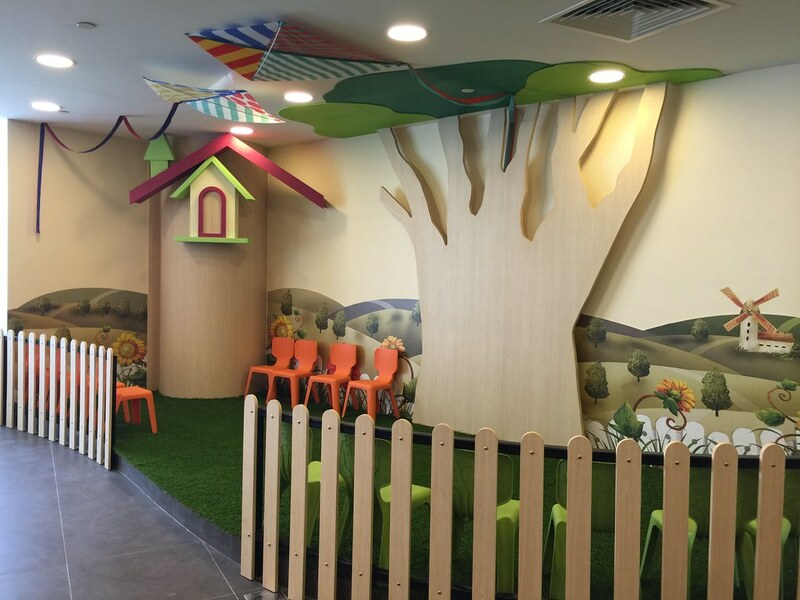 We will slowly uncover more gems at Punggol here at Punggol Babies! Bookmark us and come back often to check for more updates. Chant with me… 18 Jan! 18 Jan! 18 Jan! Yes that’s the day where doors to the Waterway Point at Punggol will finally have its door open!! Expect crowd and crazy load of people. Though I strongly discourage my family and friends to go during this opening period, but we will miss all these free gifts and promotions! 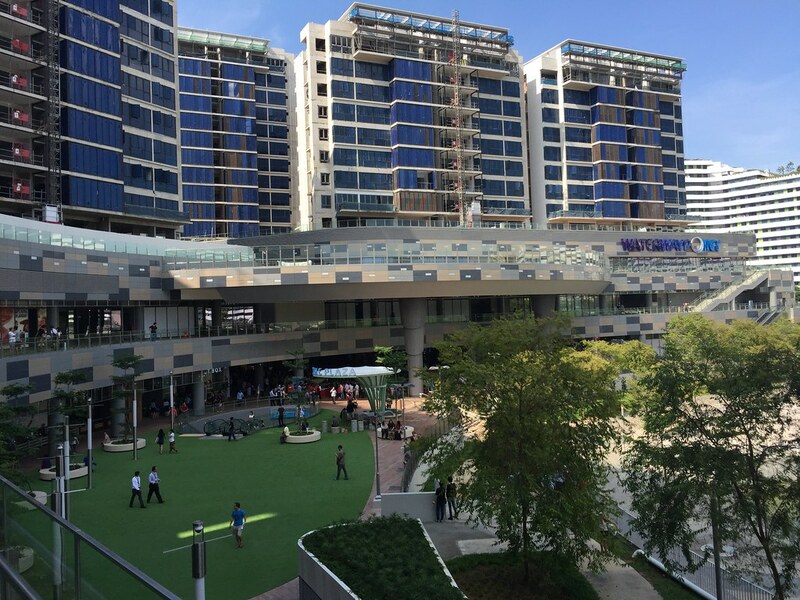 Ride on Waterway Point’s LED-lit bicycles to win amazing prizes from the Fortune Tree! Simply spend $88 and head down to the Event Square, Level B2 to participate and you might bring home attractive sure-win prizes such as massage chairs and tenant vouchers worth a total of $600,000. 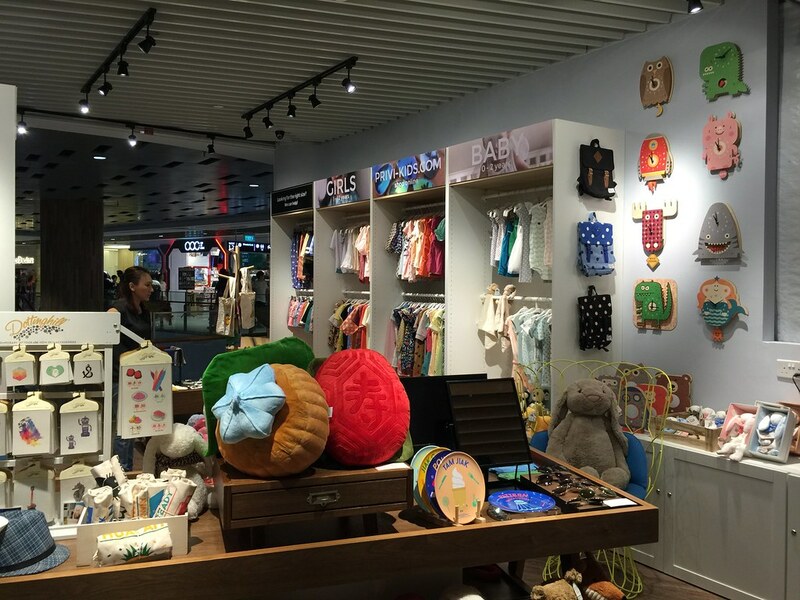 Shop for goodies, decorations and special buys at Waterway Point from 25 January to 6 February at Level 1 Village Square. Happening at 1pm and 6pm on 12, 13, 14, 19, 20 and 21 Feb 2016. That’s all the Fridays to Sundays over two weeks. Spend $10 in a single receipt and present this mailer to redeem a welcome gift pack (worth $30) that includes an exclusively designed Waterway Point Tote-brella. Available on a first-come, first-serve basis for the first 5,000 shoppers. This I expect all to be wiped out on the first day loh. Need to spend $10 only wor! Then there’s the Chinese New Year freebies – Ang Bao ($50 nett spent) and Bountiful Baskets filled with pineapple tarts and mandarine oranges (Min. $168 nett spent). More details and T&C at Fraser Centrepoint Malls website. Can’t wait for 18 Jan to come! It’s NEXT THURSDAY Punggol people! This is now my go-to-place for crabs when I crave for it. Not just me, but my entire family will head to the same place too! Because the crab is cheap and oh-so-good! Just look at this Salted Egg Crab! This is finger licking goodness, very flavourful and cooked to hit all senses. I can eat this everyday if I could. And its only $28 per pop! All their crabs are sold at the same price, no matter how big/small or how you choose to cook it. So cheap how can anyone resists? When I was there for the first time with my family on New Year’s Eve, the crab fish tank was filled and by time we are half way done with our dinner, it was empty! Got to go early to avoid disappointment. 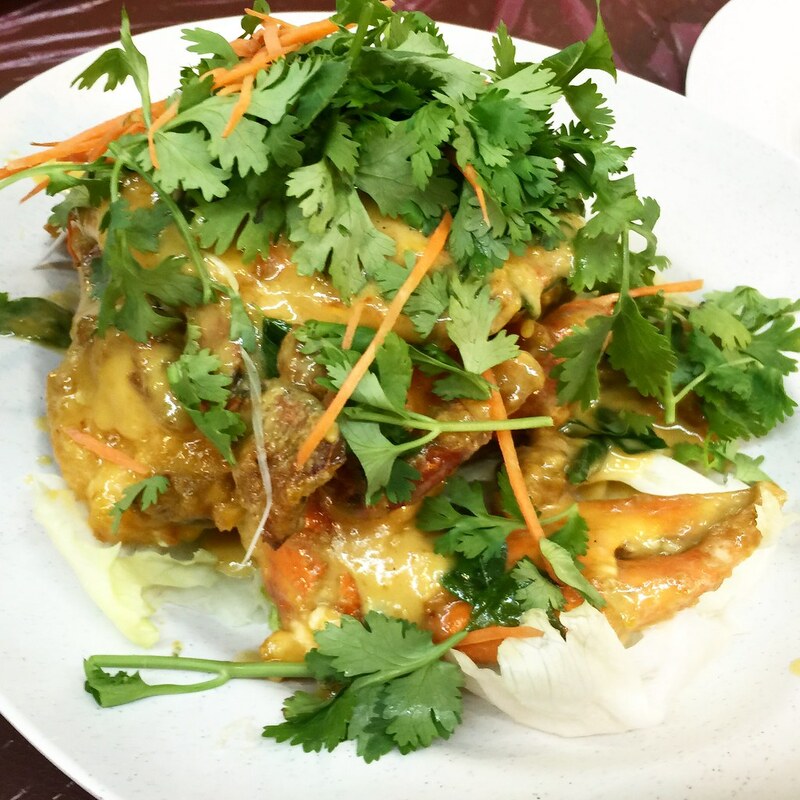 We also tried their Chili Crab and it was very good too. But because I’m basis with anything salted egg cooked, I rank this No. 2 on the table served that night. 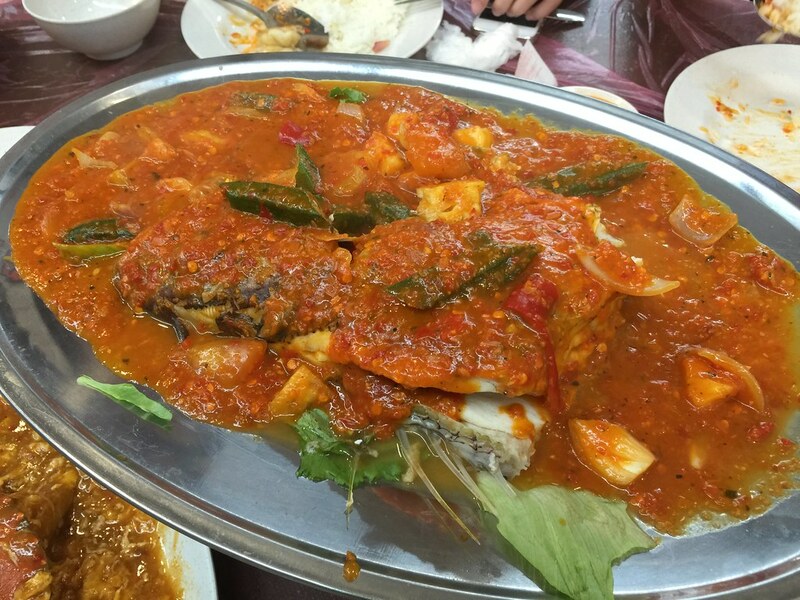 That night we also feasted on their Assam Fish Head and it was not bad too. I rank this No. 3 amongst all the other food we had. 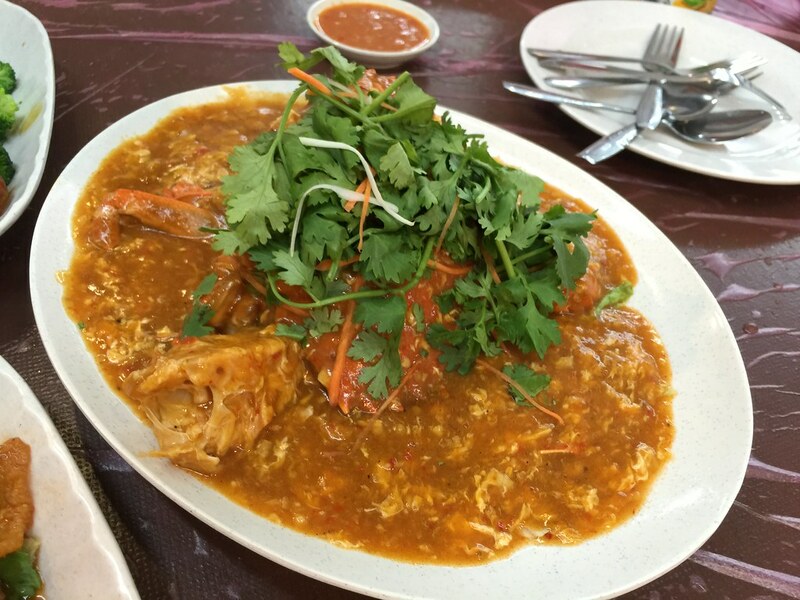 If you’re craving for some good and yummy crab, head over to the coffee shop next to Soo Teck, take the Punggol LRT West line. There I said it. And I’m so going to regret one day cos there’ll be more competitors snatching these yummy crabs from us. 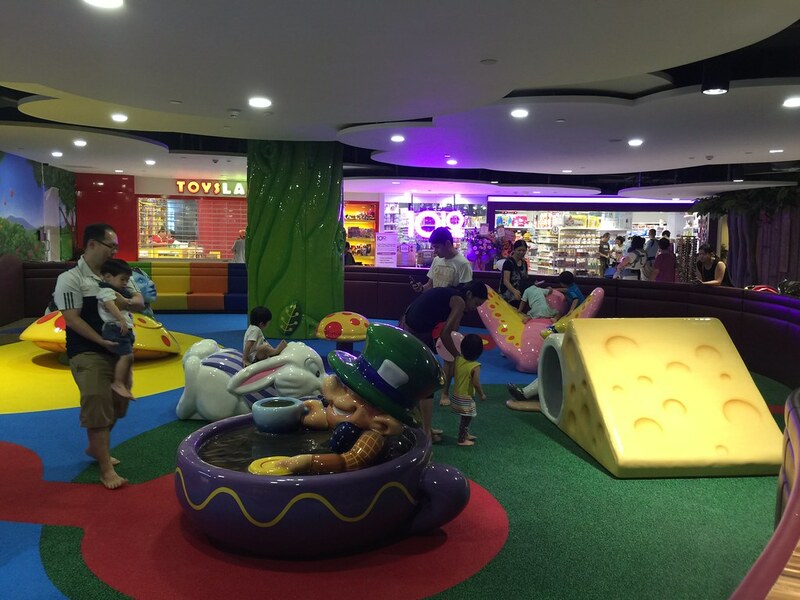 We finally visited an indoor playground after procrastinating for some time. I initially thought that indoor playgrounds are just obstacles, slides and big ball pits for kids who have started walking. G (my other half) also kept telling me that Isaac is too young and there is probably nothing for him to play there. Nonetheless, we still went ahead to check it out. When we initially entered the playground, Isaac refused to be put down. He was afraid, yet curious of his surroundings. We took turns to hold him and slowly put him down when we felt he was ready. After some time, he became more confident and started to move about. Since the playground was not suitable for him, we spent most of our time at the Toddler area where he had lots of fun. After our experience today, I am glad I can say that Isaac had a good time during his first experience at an indoor playground. What I liked most about bringing him there, is seeing him become more confident and how he gradually learnt to share. Can’t wait to bring him here again next time! Hey Baby! One More Time! With one, we could dedicate and give her our 100%. When the second arrived, we doubled our love and dedication. The eldest has a companion and the youngest has a role model. They both have a playmate. The grandparents always say, “One more one more” and so they got their wish come true. With the arrival of a number three in the family they are kept busy and accompanied with three little ones. And that’s also how Punggol Babies come about. Because it is more fun together! 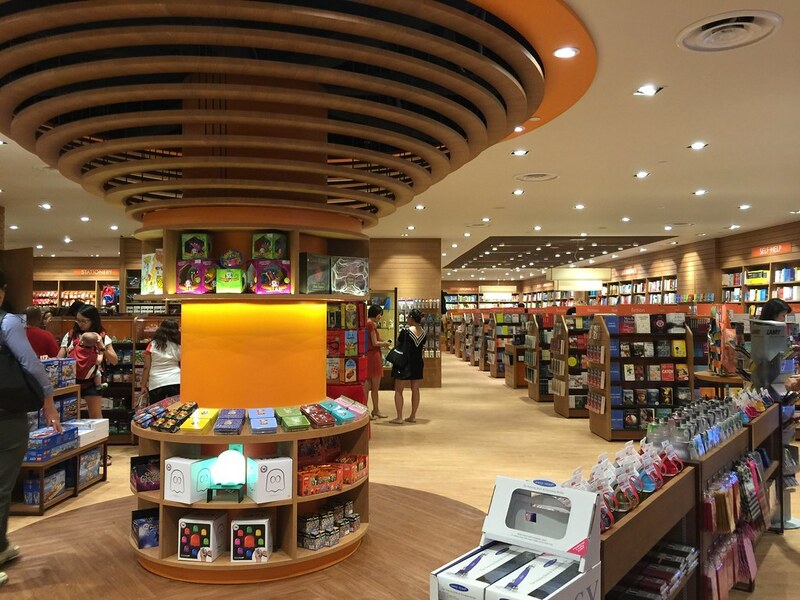 Author ClaudiaPosted on January 1, 2016 January 1, 2016 Categories Punggol Babies FunTags #PunggolBabiesYouTube, Baby One More Time, Hey Baby, Missy A, Missy Z, Mister I8 Comments on Hey Baby! One More Time! When we first found out that we are having a baby, we were thrilled. We could not wait to share this awesome piece of news with the family and close friends. Somehow, we managed to keep it under wraps until we hit the second trimester before officially breaking the news. I was lucky to have an easy pregnancy with many people who showered the baby and me with a lot of love. We looked forward to our gynae visits knowing that we will be able to see the little one through that black and white screen. At the back of my head, I kept thinking that I am having a baby girl. I had so many names in mind, and had thought of ways to dress her up. She could probably take over my Sylvanian Families collection. As it turned out, I was having a baby boy! Having no experience with baby boys (I only have lovable nieces), I started to research on what I should expect when raising a baby boy. To which, I thank God for many self help channels / social media platforms where I can learn from others’ experiences. Apart from my final 2 days prior to delivery (I was 36 weeks along), which I could not walk anymore due to my hurting pelvic bones, my pregnancy journey was a pleasant one. No morning sickness, not much water retention, no cravings. In fact, I did not even know I was in labour until we were at the hospital checking out the cause of my disability to walk! When we were told that the baby would arrive the next day, we did not even have a name for him yet. Meeting him was a magical moment for me and my better half. At that instant, we finalized his name. His name is Isaac (meaning : laughter). Hello world, meet the light of my life – Isaac.